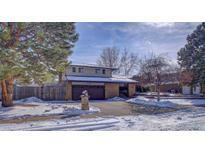 Below you can view all the homes for sale in the Sun Valley Estates subdivision located in Lakewood Colorado. Listings in Sun Valley Estates are updated daily from data we receive from the Denver multiple listing service. To learn more about any of these homes or to receive custom notifications when a new property is listed for sale in Sun Valley Estates, give us a call at 720-897-0273. Large fenced backyard, newer patios, plenty of parking, and storage shed included. MLS#3386496. HomeSmart Cherry Creek. Property is being sold in As IS condition. Live, Rent or renovate! MLS#2704993. RE/MAX ALLIANCE. Hurry to this great starter home! MLS#8126527. LIV Sotheby's International Realty. Two sheds included one is very large. MLS#6042323. Colorado Flat Fee Realty Inc.
Close to Federal Center, Belmar, light rail, St. Anthony complex, 6th Avenue, shopping, dining. MLS#7378555. LANDMARK REALTY LLC.